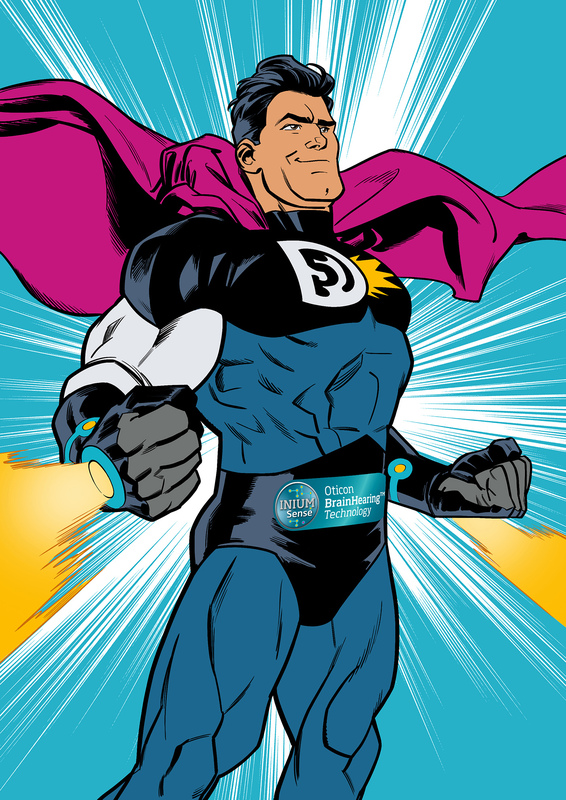 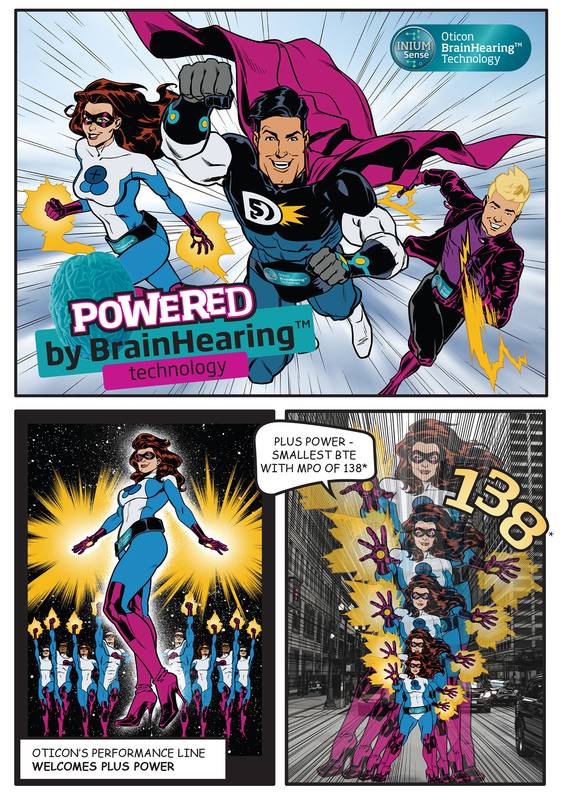 Oticon came to us with a new way to get their product noticed; comics, and they needed us to create the dynamic visuals to outshine the competition. 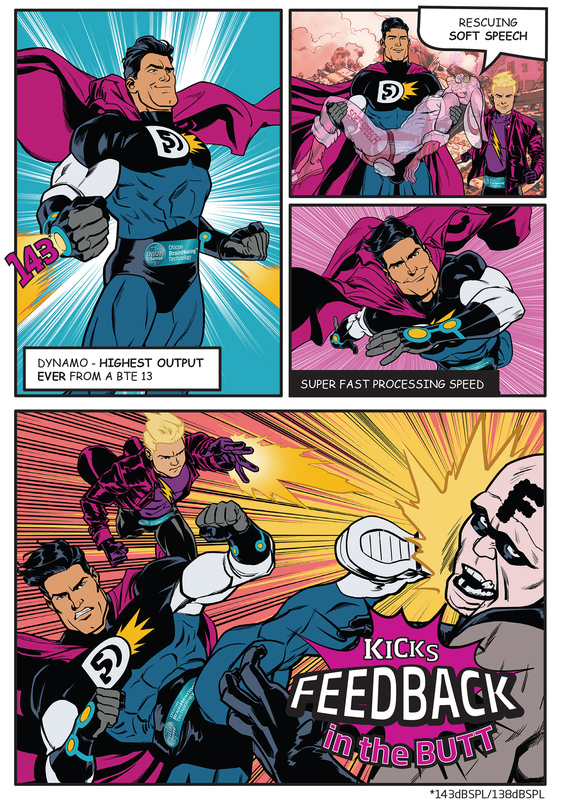 To win the attention of customers tired of the old data-heavy messaging the 3 heroes needed to look fun, high tech and super smart. 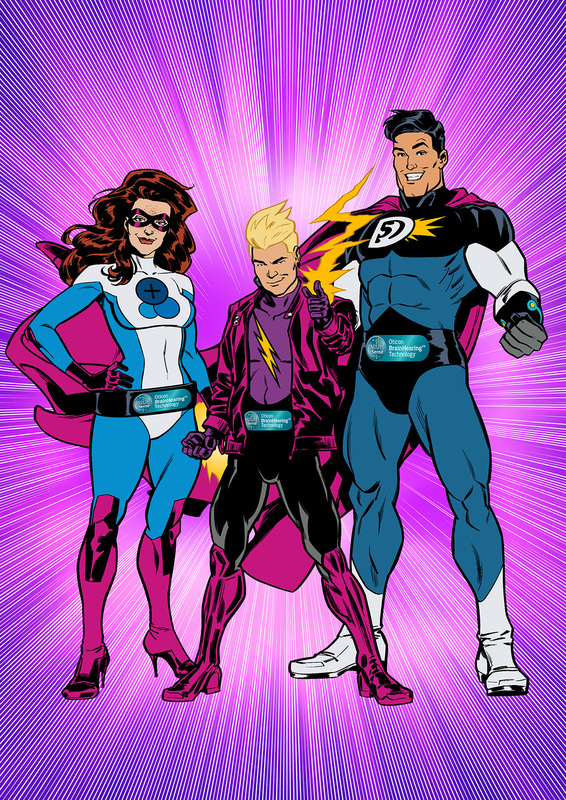 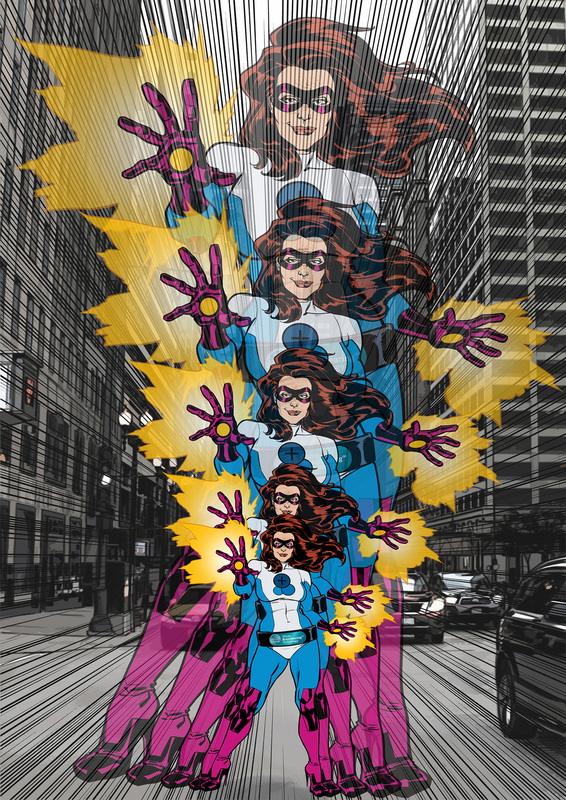 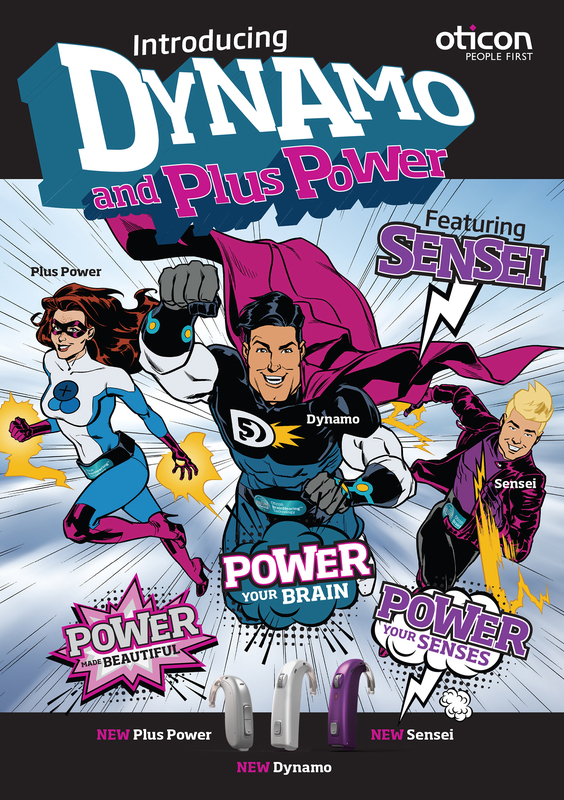 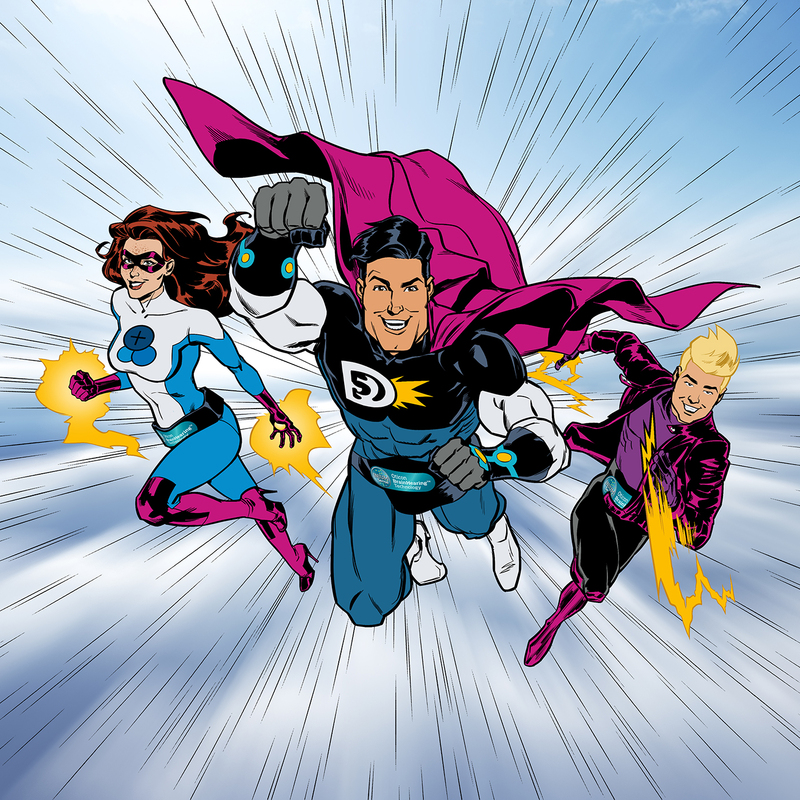 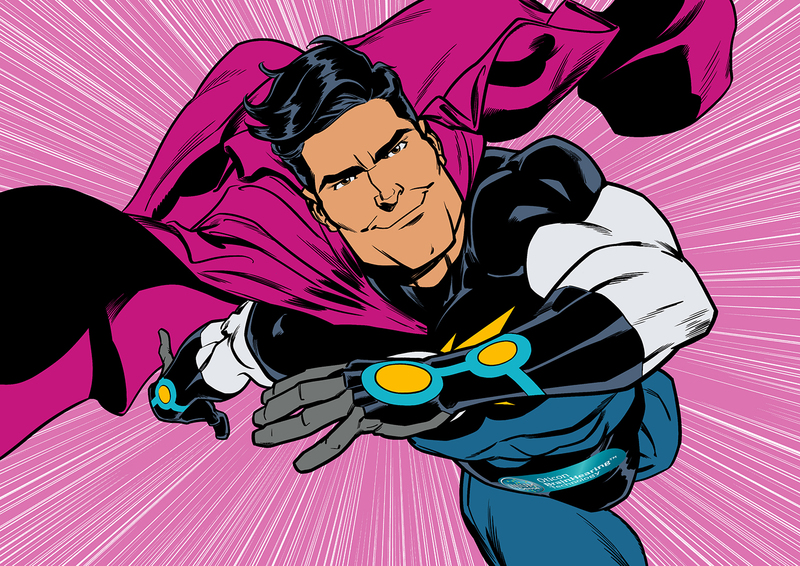 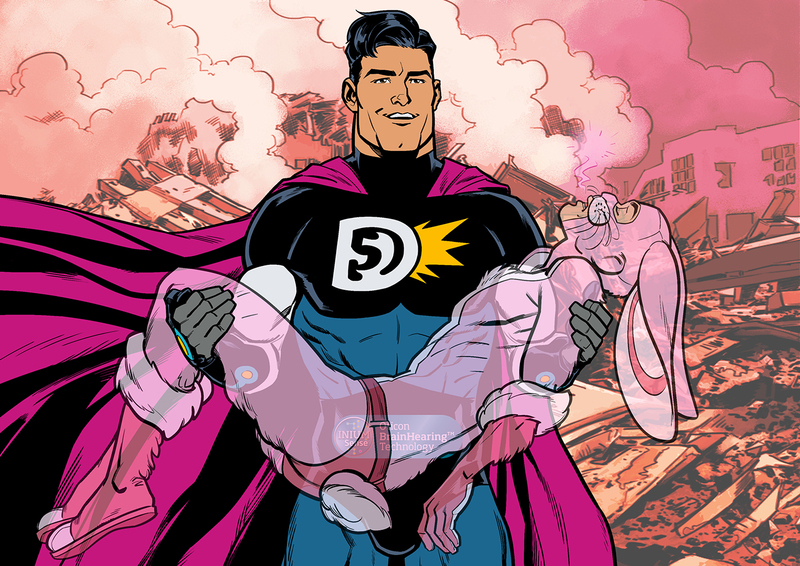 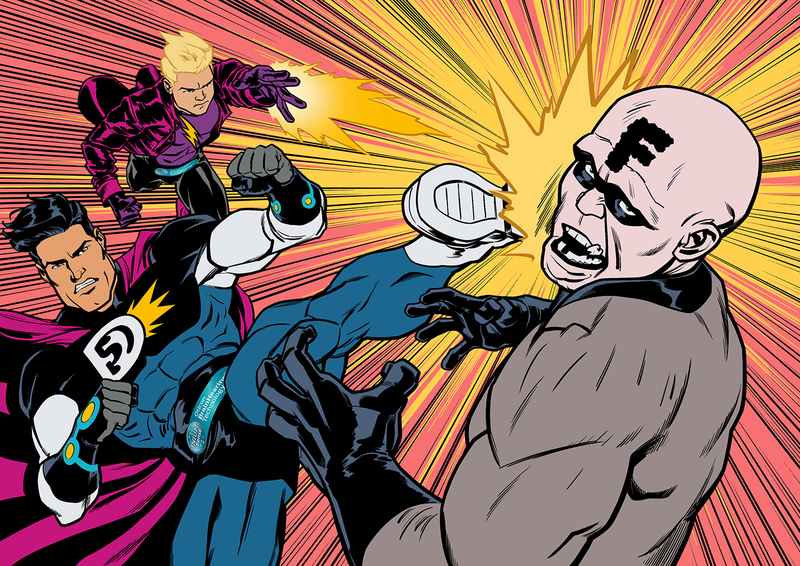 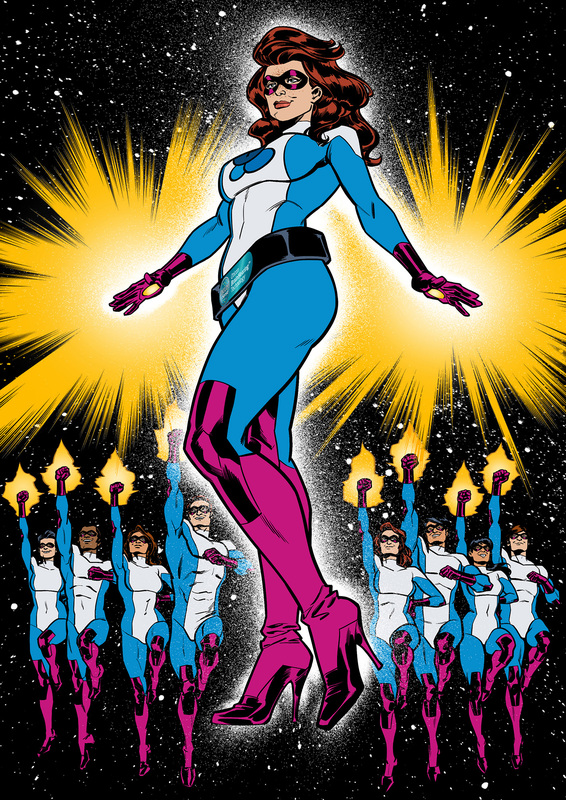 Three new superheroes would be designed to represent Oticon’s three new hearing aid products; the powerful and courageous Dynamo, the beautiful and mighty Plus Power, and the kid hero Sensei, all powered by Oticon’s BrainHearing technology. 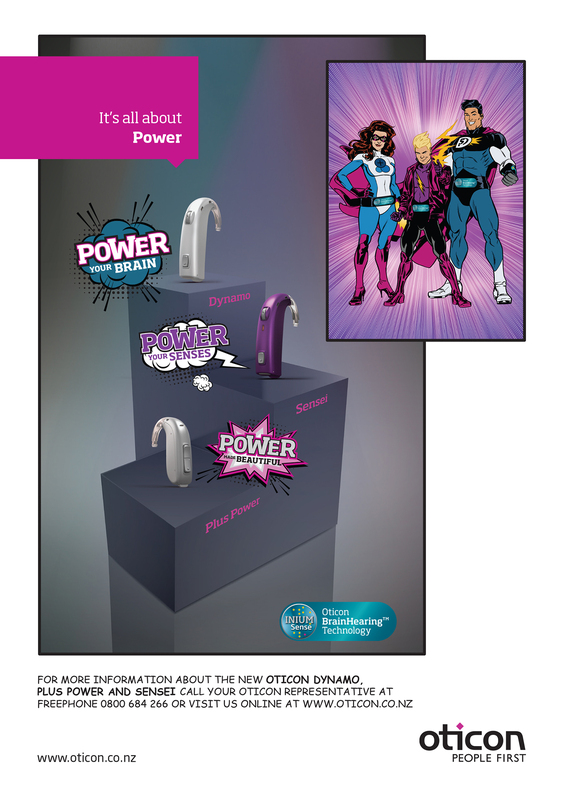 An elated client and consumer base, delighted to see how empowering Oticon’s hearing aids can truly be.